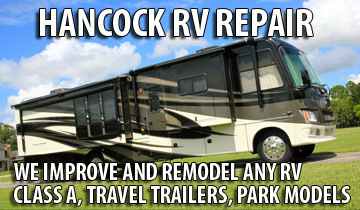 Upgrade and replace your RV lighting fixtures with high quality and versatile fixtures. Styles change, so should your lighting. 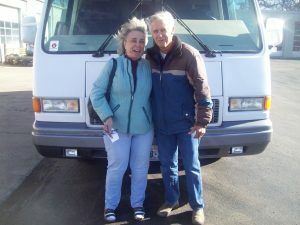 RV vanity lighting, kitchen lighting, and driving lights are essential to comfort and safety within your RV. 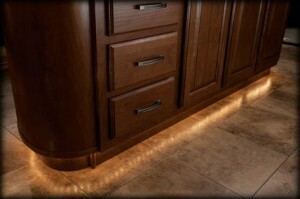 Accent lighting brings your RV from plain to extravagant with little effort. Well placed accent lighting installed by Hancock draws attention to the best parts of your camper. Draw the eyes to your magnificent countertops, or custom built computer area. Led lighting is becoming a universally used lighting form because of the long life of the lights. Light stairs and other obstacles. Light your awnings, overhead compartments and windows with LED lighting.